Don't let prom night gets on your nerve, Global Limo Proms and Formal Limo service will make you the one who own the night. Ride with pride to your prom night in best limo such as Mercedes Benz, Bentley, Chrysler and Lincoln. Give your prom date a surprise by sending limo to the front door. Treat your date like a noble by having the best limo such as Hummer and Escalade waiting in front of the house. Let them know they are special by giving them specialprom and formal limo service from Global Limo. We will send a shining limo to the address you wish to pick up your date, even arrange to find flowers or prizes that you wish to give. Prom night is your last best day of the school year. Close it with a blast. Arrived to the prom hall building door in style. Do not worry about paying the bills to get a little luxury because Global Limo offers prom & formal limo packages in lengths of 6, 8, 10 & 12 hours with affordable price. You can start or extend the party as you wish. We will find you party bus where you can ride along with your friends. The party bus comes with sound system, plasma TVs and strobe and laser lights. Party before and after the prom night. 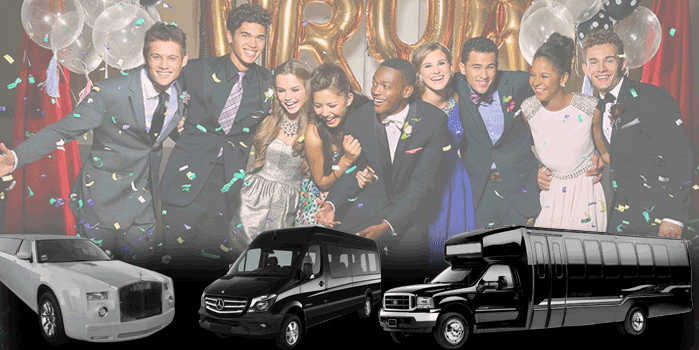 Celebrate your best night in school year with our prom and formal limo service. Entertain yourself and your friends with riding in a best car you can find with us. Don't worry about your parents. They will be happy to know that we guarantee you arrive home safely even after a hard party. Leave all your doubts behind and get the ride of your life for the night that's worth it.